[S997] Family Search Website, online www.pilot.familysearch.org, Margaret Bromley; Christening Date: 25 July 1830; Christening Place: Kirkham, Lancashire "England and Wales Nonconformist Indexes (RG4-8), 1588-1977", database, FamilySearch (https://familysearch.org/ark:/61903/1:1:VWZF-9MQ : 11 December 2014), Page 61. [S485] 1851 England Census, Lancashire County, Heskin, England, GSU Roll 87288. [S507] Certificate, John Smith and Margaret Bromley marriage of 22 Jul 1856. [S641] Margaret Smith, Margaret Smith's Death Certificate. [S997] Family Search Website, online www.pilot.familysearch.org, Margaret Bromley; Christening Date: 25 July 1830; Christening Place: Kirkham, Lancashire; shows father as Seth Smith. [S489] 1841 England Census, Lancashire, Leyland, England, GSU Roll 16, 306912. [S623] Lancashire Parish Clerk Project, Marriages at St. Michael and All Angels, Register:Marriages 1837-1873, Page 144, Entry 288: John Smith and Margaret Bromley, 22 July 1856; shows father as Seth Bromley. [S997] Family Search Website, online www.pilot.familysearch.org, Margaret Bromley; Christening Date: 25 July 1830; Christening Place: Kirkham, Lancashire; shows mother as Eliza Bromley. [S1118] 1861 England Census, Cheshire County, Chorley, England, GSU Roll 542994, shows age 30 and birthplace as Eccleston, Lancashire. [S471] 1871 England Census, Lancashire County, Dalton-in-Furness, England, GSU Roll 848078, shows age 40 and birthplace as Leyland, Lancashire. [S477] 1881 England Census, Lancashire County, Dalton-In-Furness, England, GSU Roll 1342023, shows age 50, but birthplace as Carlston, Lancashire. [S641] Margaret Smith, Margaret Smith's Death Certificate, shows age of 57 years. [S623] Lancashire Parish Clerk Project, Marriages at St. Michael and All Angels, Register:Marriages 1837-1873, Page 100, Entry 1990: William Grimshaw and Jane Bromley, 15 May 1851; shows full spinster of Heskin. [S623] Lancashire Parish Clerk Project, Marriages at St. Michael and All Angels, Register:Marriages 1837-1873, Page 144, Entry 288: John Smith and Margaret Bromley, 22 July 1856. [S490] International Genealogical Index (IGI) John Smith and Margaret Bromley,Parish of Eccleston (Near Chorley); Parish Registers of Ecdleston (near CHolrey), 1603-1938. [S623] Lancashire Parish Clerk Project, Marriages at St. Michael and All Angels, Register: Marriages 1837-1873, Page 144, Entry 288: John Smith and Margaret Bromley, 22 July 1856. [S624] Lancashire Police Department, John Smith's Police History, Lancashire, England, Reference PLA 11/10, Page 49: PLA 11/10, Page 49; shows married with one child. [S641] Margaret Smith, Margaret Smith's Death Certificate, shows wife of John Smith. [S647] John Henry Smith, Birth Certificate (21 December 1857). [S1118] 1861 England Census, Cheshire County, Chorley, England, GSU Roll 542994. 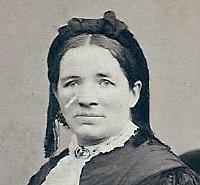 [S517] Seth Bromley, Birth Certificate Number 172, shows mother as Margaret Bromley (10 March 1856). [S235] Seth Smith entry, Death Certificate Deaths in the Town of Waterbury, Volume 5, January 1907-December 1910, Page 158, shows Margaret Brownlee as mother (16 August 1909). [S616] International Genealogical Index (IGI), Parish Registers For St. Andrews Church, Leyland 1651-1947, shows Mother: Margaret Bromley. [S471] 1871 England Census, Lancashire County, Dalton-in-Furness, England, GSU Roll 848078, shows his mother as Margaret Smith. [S647] John Henry Smith, Birth Certificate, shows mother as Margaret Smith, formerly Bromley (21 December 1857).